The most notorious goalpoacher of his generation and the World Cup's all-time topscorer, Gerd Müller began his career in his birth town club in Nördlingen before moving to Bayern Munich as an 18-year old in 1964. His career took off from there and Müller made his international debut in October 1966 against Turkey and quickly established himself in the team. Stockily built Müller had a special talent for scoring. Virtually all his goals came from inside the penalty area and most of them out of nothing. Twisting and turning away from defenders and great positioning helped him score an incredible 68 goals in only 62 appearances for his country and 365 goals in 427 Bundesliga games which enabled him to top the scoring charts seven seasons. 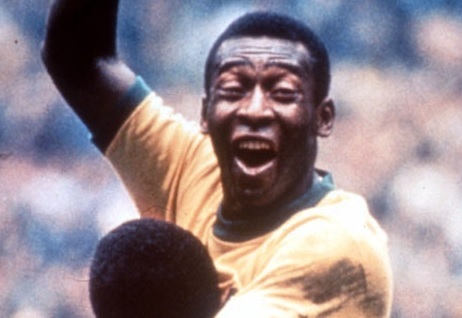 The World Cup in Mexico 1970 saw "Der Bomber" at his very best. He knocked in 10 goals in 6 matches including successive hat-tricks against Bulgaria and Peru. 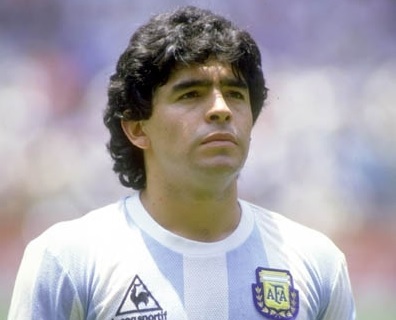 It earned him the Golden Boot as topscorer and later a European Player of the Year Award, but there was no World Cup winning medal to go with it. Italy won 4-3 - despite two Müller goals - in a dramatic semifinal which went to extra time. A winner's medal was instead picked up in the following European Championship final in 1972 where West Germany convincingly beat the Soviet Union 3-0. The most treasured chapter of his glorious career though was written in 1974. West Germany hosted and won the World Cup. Müller missed out on the topscorer title, but made up for that by scoring the match winning goal in the final against Holland with one of his typical finishes - his fourth in the tournament. It was a perfect ending to his international career. That year also saw his club Bayern Munich win the first of three successive European Cups. Müller took part in all the winning sides. He moved to America in the late seventies for new challenges in the NASL and retired in 1982.